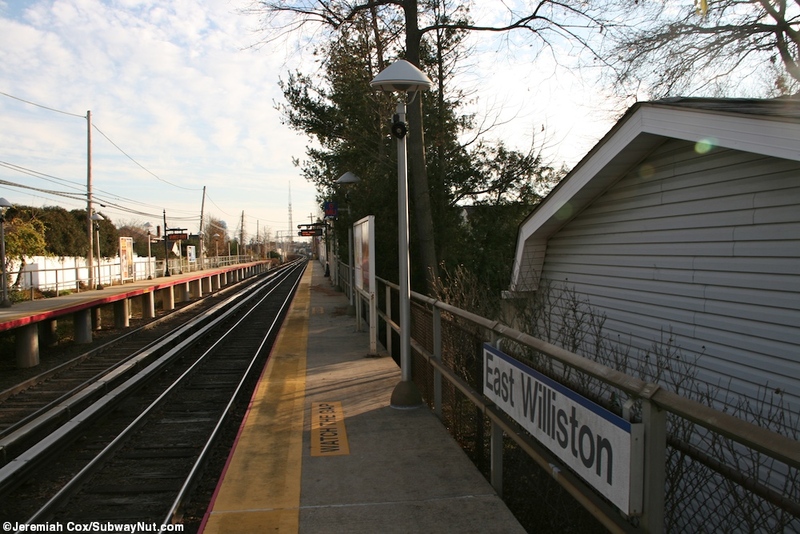 East Williston is one of the more unique branch line stations on the LIRR and the only electrified station on the Oyster Bay Branch. 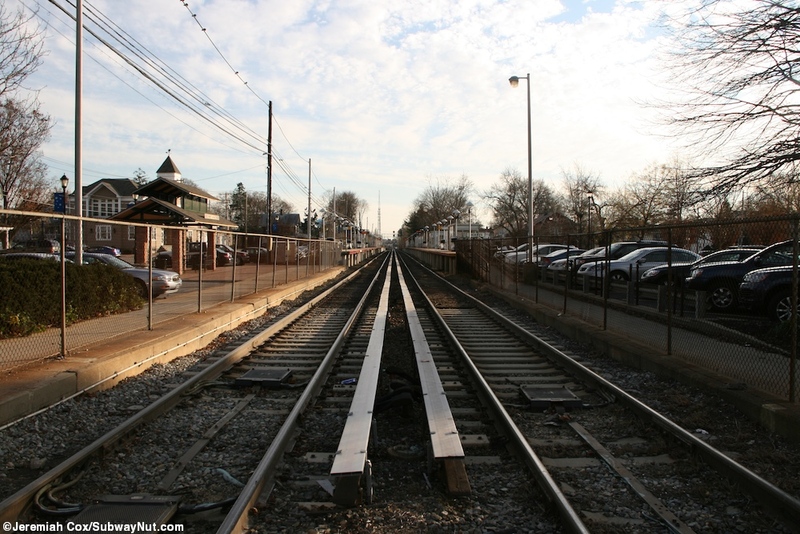 Electrification extends a short ways north of the station and just arbitrarily ends (at no yards or switches) beyond the station. 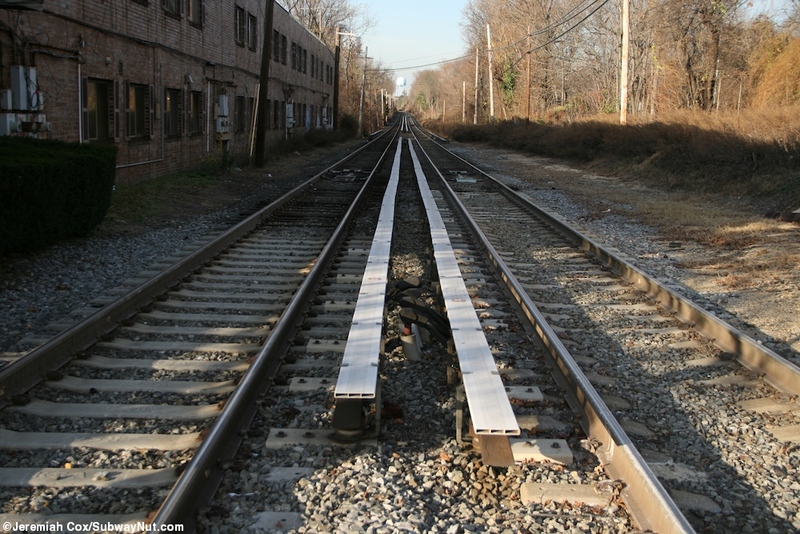 There is a set of crossover switches south of the station before the branch joins the mainline just before Mineola. 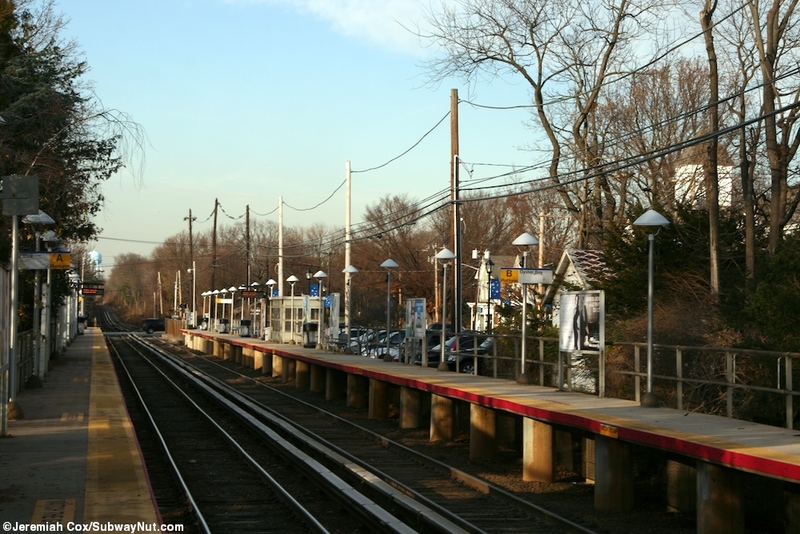 Electrification ocurred June 1934 (Bob Emery, LIRR Branch Notes, Link). The main reason for electrification reaching here was in preparation of expanding it all the way to up to Oyster Bay, this never happened. 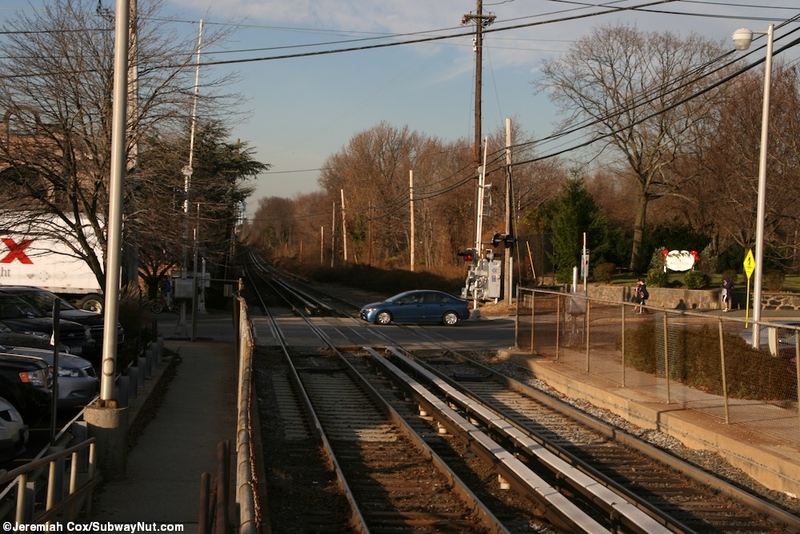 After 1934 the stop did serve as an important terminal station for electric trains off of the main line when Mineola was the end of the electrification on the Main Line from c. 1910 ('Felix Reifschneider's 1925 History of the Long Island Rail Road' on the Third Rail, page 30 Link.) 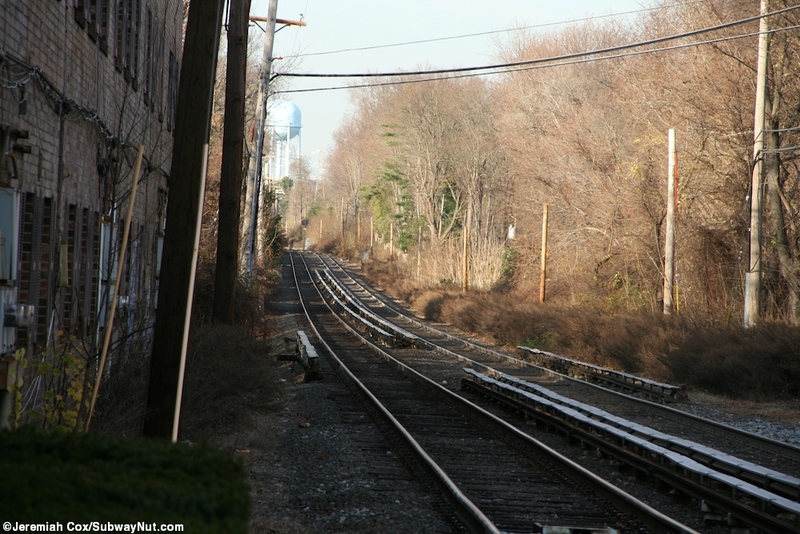 all the way until October 19, 1970 when the line using a Federal Grant was electrified from Mineola out to Huntington (Werner Bamberger, 'Change at Jamaica is Only a Memory for Some', The New York Times, October 20, 1970, Link). Today the third rail is used a total of once per day by one AM peak hour electric train that originates at the station, although no PM trains terminate. 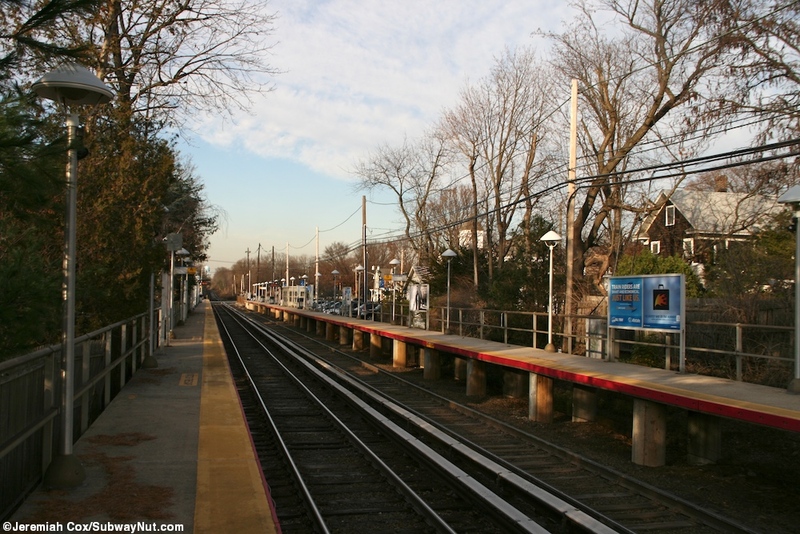 Peak hour train 1501 originates at East Williston at 7:26am and makes every possible stop it can stop at on the Main Line: Mineola, Merillon Avenue, New Hyde Park and then on the Hempstead Branch: Floral Park, Queens Village and Hollis (the train must skip Bellrose because it only has platforms for the Hempstead branch and their no switches until between there and Queens Village). It then continues to Jamaica, Woodside and Penn Station. 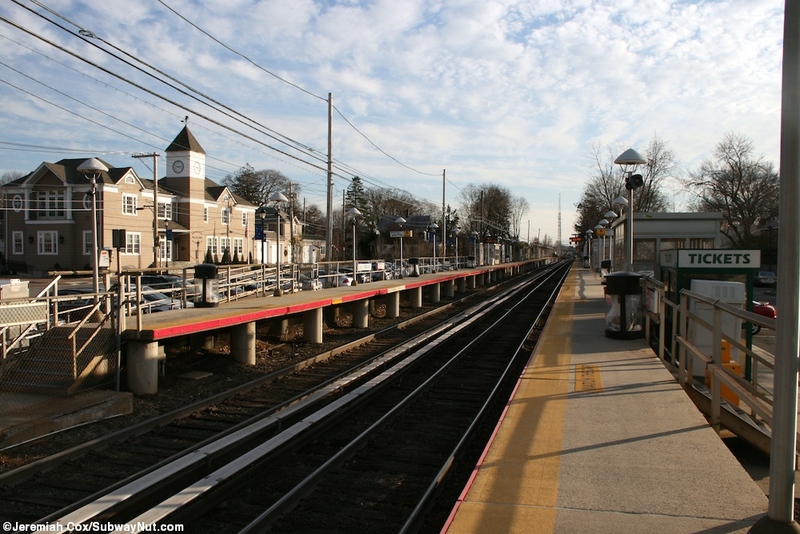 A one-seat ride is also provided to Penn Station on the one Oyster Bay round-trip that uses DM30AC Dual-Mode Locomotives and BiLevel C3 cars (leaving to Penn Station at 6:25 am, returning from at 6:54). 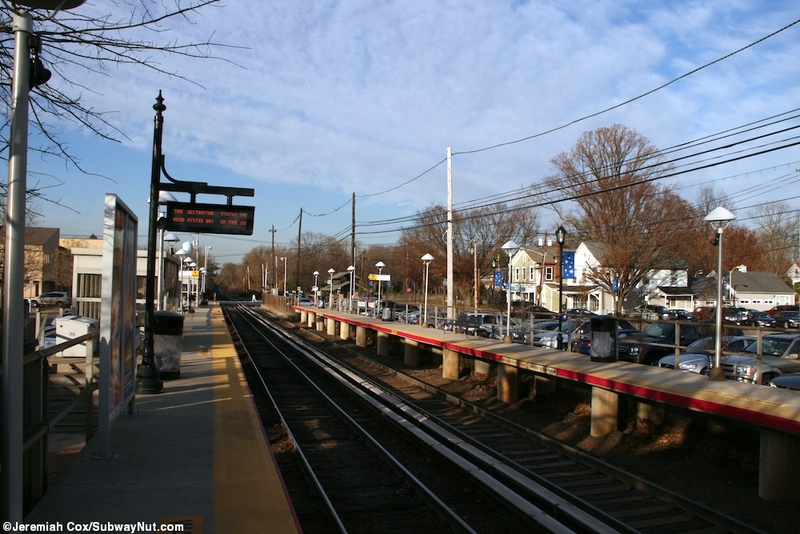 All other service to the station, every 2 hours consists or better is via a train of 3 or 4 BiLevel C3s and a DE30AC or DM30AC Locomotive running to Jamaica with a few peak hour trains extended to Hunterspoint Avenue and Long Island City. 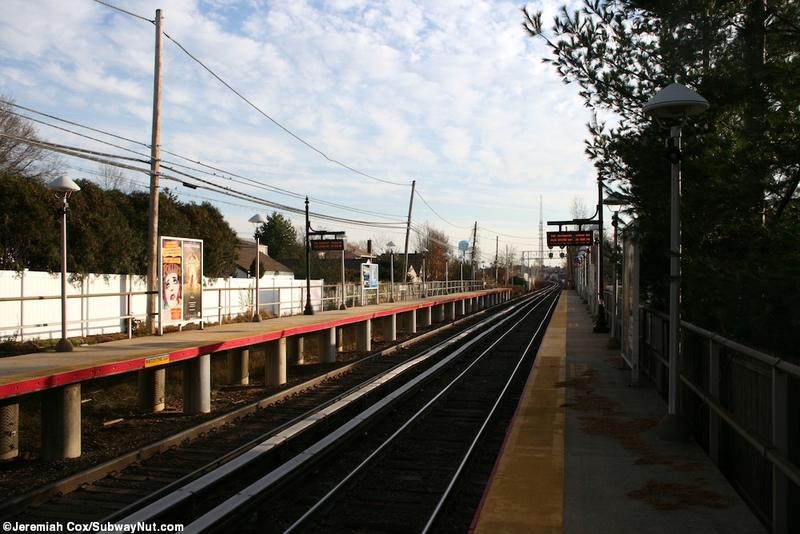 The other piece of history that needs to be mentioned is the now demolished depot that was torn down on December 11, 2004 due to an engineers inspection finding the bricks and mortar of the station non structurally sound after it was closed to be renovated in 2003. The stop was the third oldest after Hewlett and St. James. 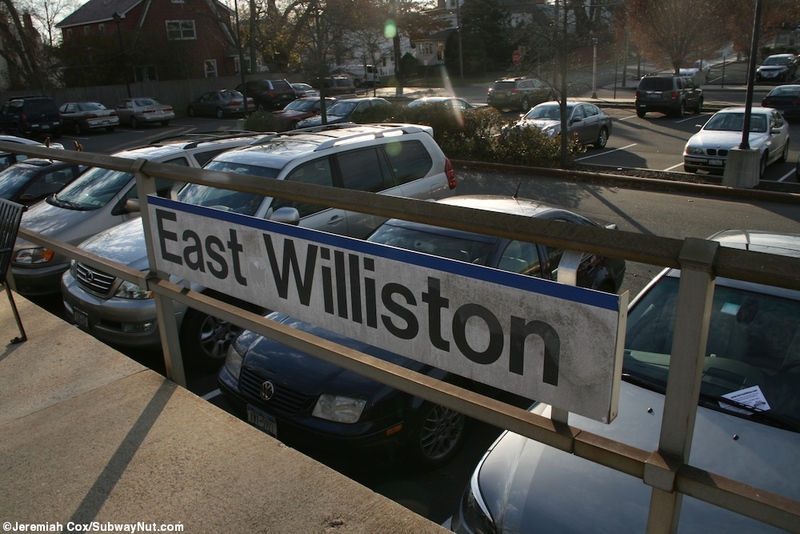 It was completed sometime between 1880 and 1888, records don't exist (Elanor Zatlin, 'The East Williston Train Station' Inc. Village of East Willison, Link). The stop was a two door building with a very similar design to that original and still standing depot at Hewlett, although it also included longer gabled canopies extending from the depot. Arrt's Arcive has an excellent photo illustrated page of the history of the depot. In 1971 a profile of Cyril Lewis who painted the station is described as "cool and pleasant and like a ghost from another era, there is a quaint brick and gabled station house at the far end of the platform." (Leslie Tonner, 'Cyril Lewis' Long Island' The New York Times, October 17, 1971, A6 Link) Other notable moments were found in the archives including on January 6, 1921 when Burglars blew open the save in the station taking $20 in silver while leaving $200 in bills in a corner of the save ('L. I. Station Safe Blown' The New York Times, June 7, 1921, a href="http://select.nytimes.com/gst/abstract.html?res=F40C15FA3D5F10738DDDAE0894DE405B818EF1D3&scp=6&sq=East%20Williston%20station&st=cse">Link). 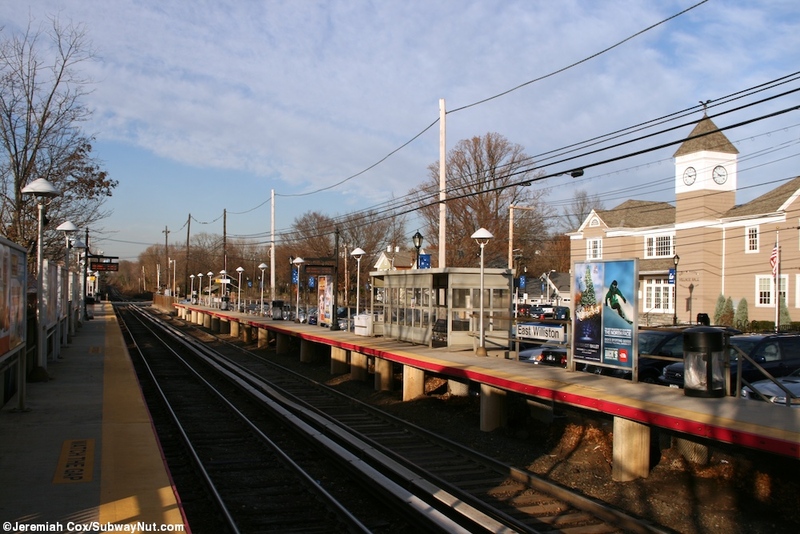 In 1960s the station was proposed to be demolished and moved a half-mile north to combine it's service with the nearby Albertson's Station, this was dropped due to community opposition ("2 L.I. Stations Kept: Railroad Blows to Opponents of Single One in Between," NY Times, May 19, 1960. Link). 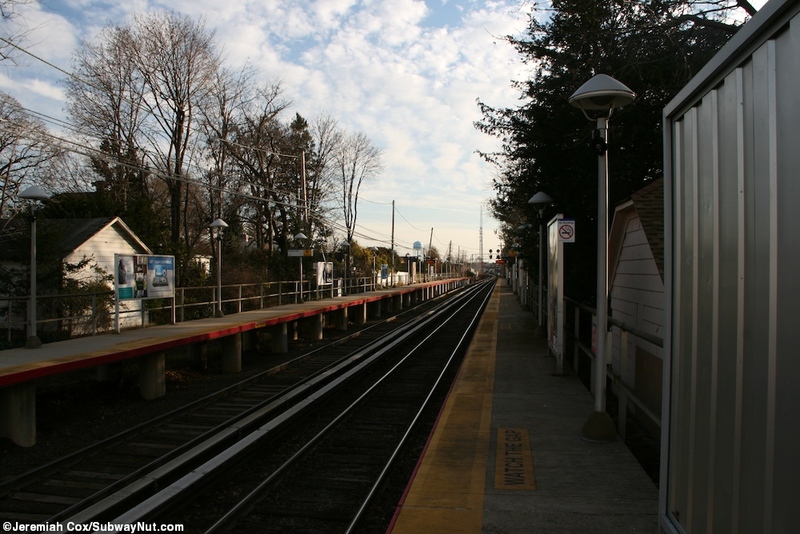 The final notable moment occurred on December 10, 1996 when Debbie Pierce sold the last ticket there and for the entire Oyster Bay Branch since all the other ticket offices were closed that year as well. At that point it was a half shift station, staffed from 6:00am to 9:30am when the agent took lunch and road into Jamaica to do clerical work for the remainder of the shift. Today's station consists of two high-level side platforms completed for the operation of M1s in the late 1960s/early 1970s with that design for the two track line. 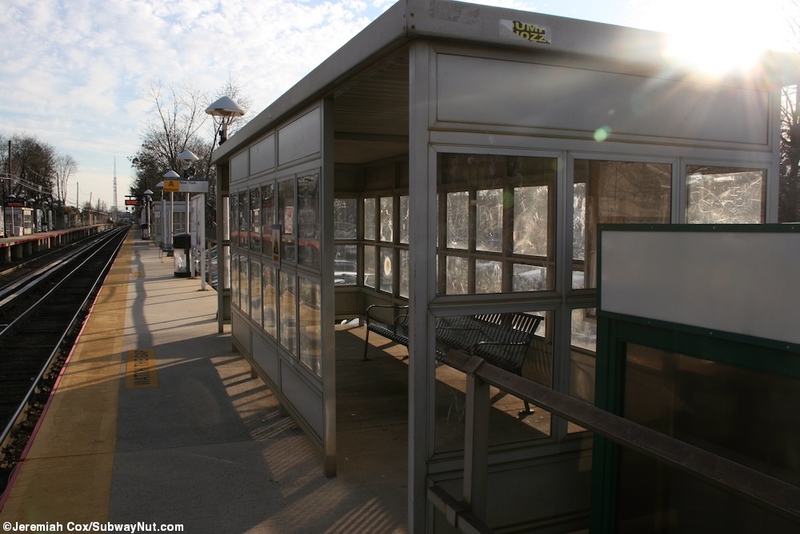 They both have a few silver metal shelters that provide some protection for waiting passengers. 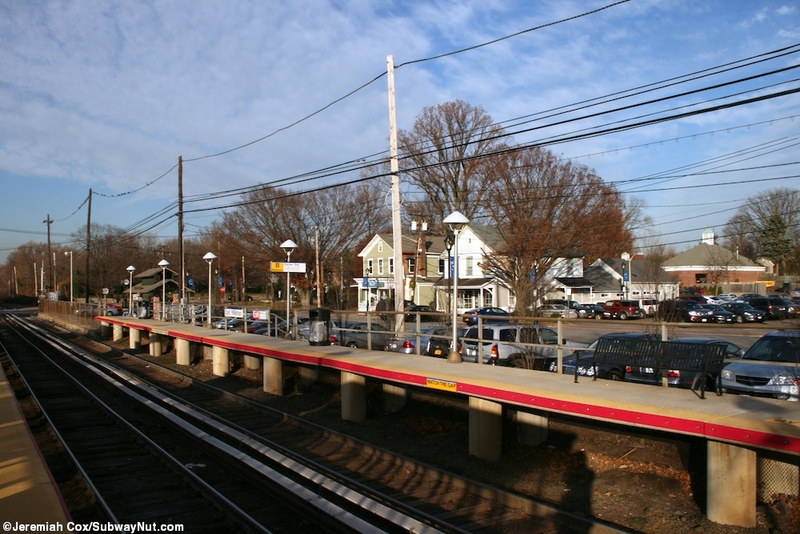 Both platforms can accommodate ten cars and they begin a short ways beyond (with a fence along the tracks separating what was once the low-level platform areas) the grade crossing with Hillside Avenue that provides the only connection between the two platforms. 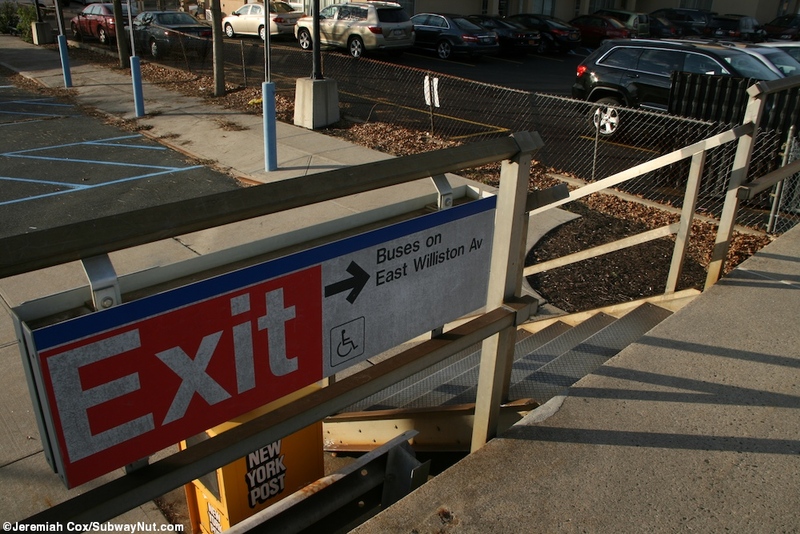 The platforms begin with a staircase and ramp up and extend south with a few more staircases down to the streets along each platform before they continue south with no other means of access so 10 cars can platform. 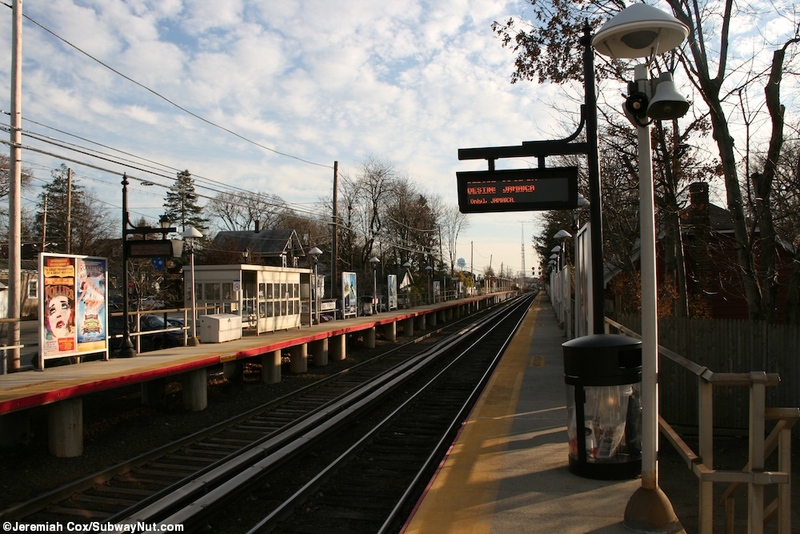 The New York-bound platform is along a small parking lot for the station that includes a few TVMs inside a small shelter with Tickets printed on top. 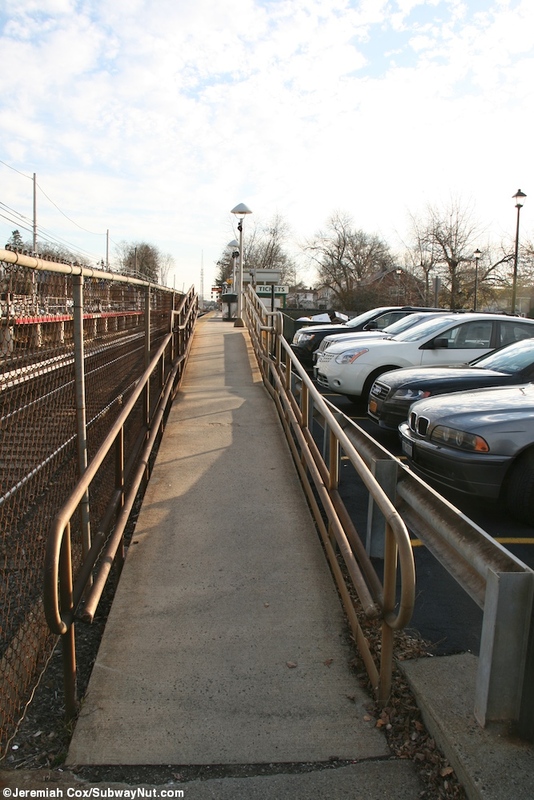 The Oyster Bay-bound platform is more interesting with just a line of parking spaces along Sagamore Avenue that curves away half-way down the platform. 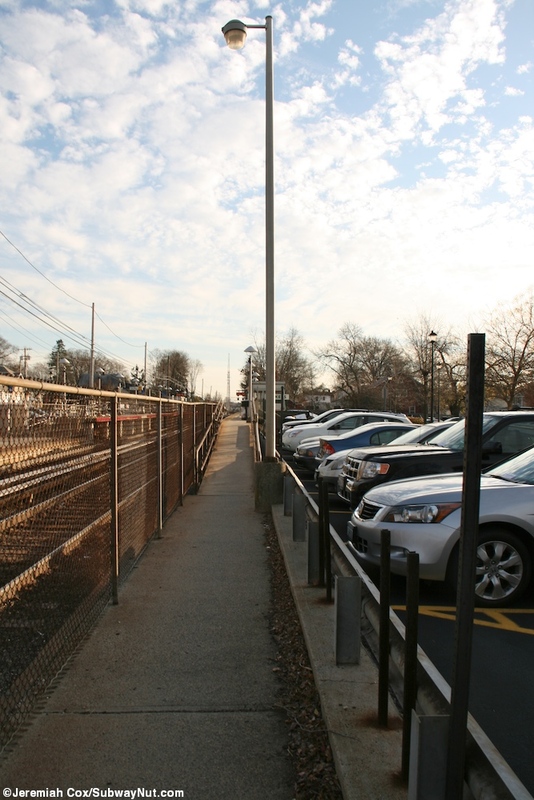 The area between the high-level platform and the grade crossing is where the depot stood until it had to be torn down in 2004. 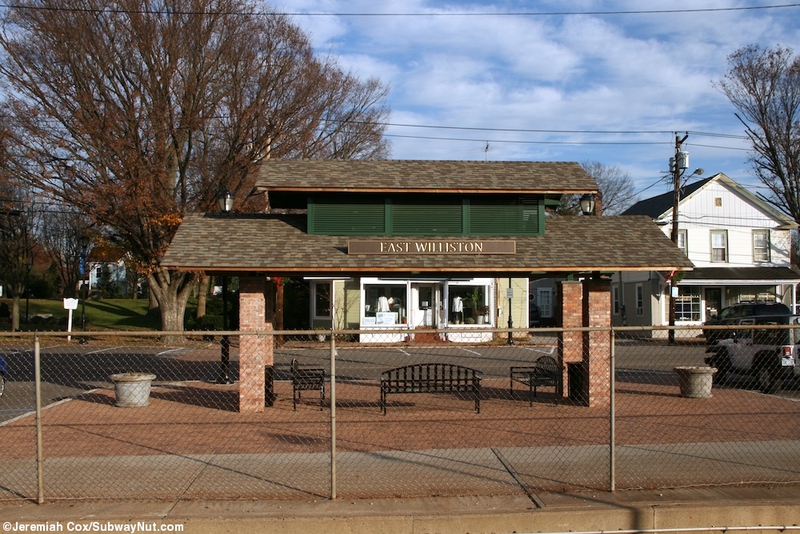 Today a decorative gabled canopy is held up by four brick pillars with small vintage looking East Williston signs above 3 benches in a newly landscaped plaza that is almost an unlabeled memorial for the former depot. There really should be a plaque and information sign about it. There is also a vintage clock in this area.